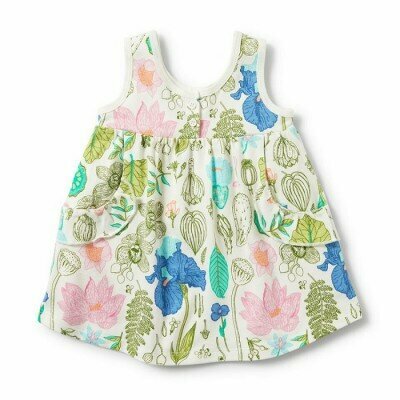 Baby Girl Dresses There are 20 products. 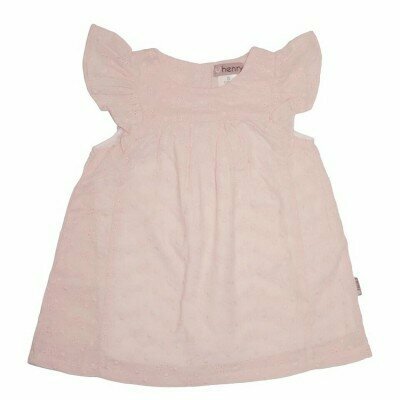 Our range of baby girl dresses has been carefully selected to suit any style and any occasion. 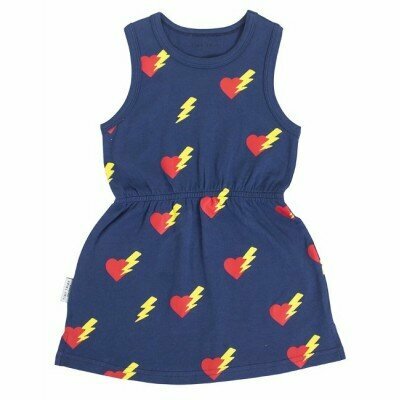 Whether you are looking for the perfect party dress or something more casual our extensive range will have it covered. 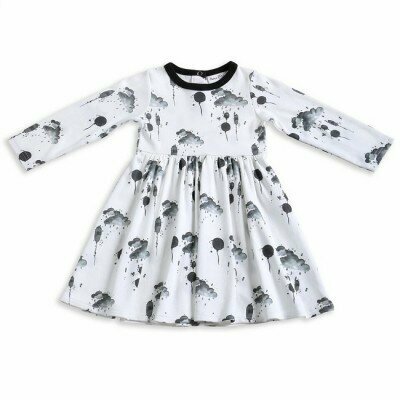 All of our dresses are designed right here in Australia by brands which are on trend and of the highest quality. 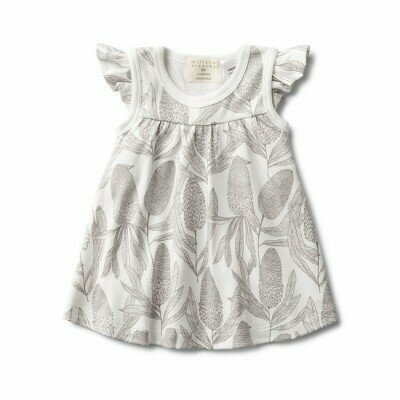 Adorable baby girls dress from Wilson and Frenchy Features an all over Banksia print Sleeveless with ruffles at the shoulders Fitted upper and loose lower Made from beautifully soft 100% cotton Want accurate information about sizes? Simply SMS your inquiry to 0412 972 555 and we will happily measure items for you. Shop with confidence! 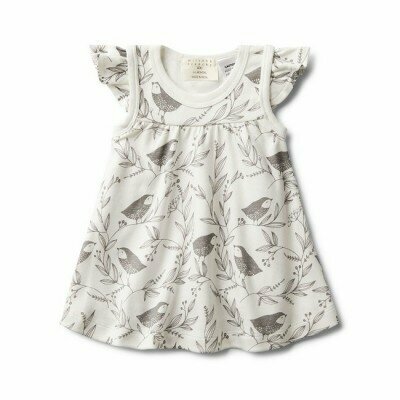 Adorable baby girls dress from Wilson and Frenchy Features an all over Little Flow print Sleeveless with ruffles at the shoulders Fitted upper and loose lower Made from beautifully soft 100% cotton Want accurate information about sizes? Simply SMS your inquiry to 0412 972 555 and we will happily measure items for you. Shop with confidence! 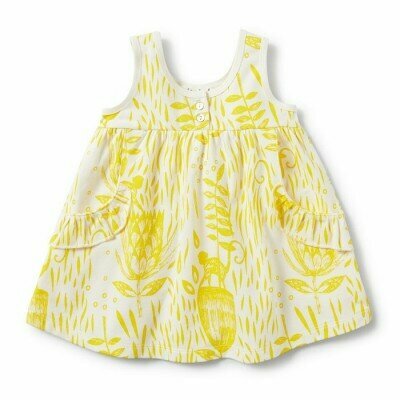 Girls/baby girls dress from He and Her Perfect for the beach or summer fun anywhere! 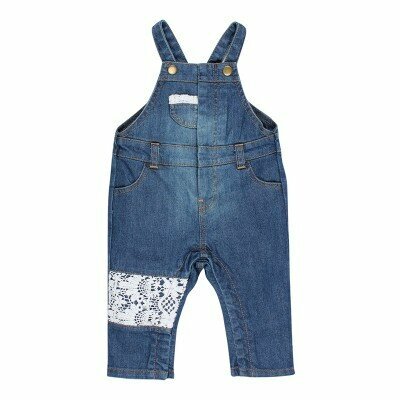 Features tie straps at shoulder, gather at neckline and relaxed and loose fit through body Made from 95% cotton and 5% spandex Want accurate information about sizes? Simply SMS your inquiry to 0412 972 555 and we will happily measure items for you. Shop with confidence!